H2020 is the biggest EU Research and Innovation programme ever with nearly EUR 80 billion of funding available over 7 years (2014 to 2020). 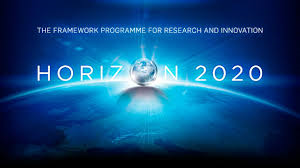 H2020 continues after the 7th frame work programme that ended in 2013. Read more at the EU commission's web page on H2020 (external link). Find information on funding opportunities in H2020 in the Participant Portal (external link). The calls together with the work programmes are in the participant portal and can be downloaded from here. Click here for keyword search to find calls related to your research field or find you area here. Horizon 2020 has three pillars: Excellent science, Industrial leadership and Societal challenges. The European Research Council (ERC) will provide attractive and flexible funding to enable talented and creative individual researchers and their teams to pursue the most promising avenues at the frontier of science, on the basis of Union-wide competition. Future and emerging technologies will support collaborative research in order to extend Europe’s capacity for advanced and paradigm-changing innovation. They will foster scientific collaboration across disciplines on radically new, high-risk ideas and accelerate development of the most promising emerging areas of science and technology as well as the Union-wide structuring of the corresponding scientific communities. Marie Skłodowska-Curie Actions will provide excellent and innovative research training as well as attractive career and knowledge-exchange opportunities through cross-border and cross-sector mobility of researchers to best prepare them to face current and future societal challenges. Research infrastructure (including e-infrastructures) will develop European research infrastructure for 2020 and beyond, foster their innovation potential and human capital, and complement this with the related Union policy and international Cooperation. "Leadership in enabling and industrial technologies" will provide dedicated support for research, development and demonstration and, where appropriate, for standardisation and certification, on information and communications technology (ICT), nanotechnology, advanced materials, biotechnology, advanced manufacturing and processing and space. Emphasis will be placed on interactions and convergence across and between the different technologies and their relations to societal challenges. User needs will be taken into account in all these fields. "Access to risk finance" will aim to overcome deficits in the availability of debt and equity finance for R&D and innovation-driven companies and projects at all stages of development. Together with the equity instrument of the Programme for the Competitiveness of Enterprises and small and medium-sized enterprises (COSME) (2014‑2020) it will support the development of Union-level venture capital. "Innovation in SMEs" will provide SME-tailored support to stimulate all forms of innovation in SMEs, targeting those with the potential to grow and internationalise across the single market and Beyond. Join the database of independent experts for European research and innovation. The European Commission appoints independent experts to assist with research and innovation assignments including the evaluation of proposals, monitoring of projects, and evaluation of programmes, and design of policy. This is the best way to learn how the EU system works!! Stay updated by subscribing newsletters from AFU.